When I was a young’un, I got stuck at the Temple of the Ancients in Final Fantasy VII. You know that boss that’s fused into a wall? Yeah, it just kept battering me over and over. One day, my old man sat in my room while I was out, doing laps around the place, fighting and getting me levelled up to take it on. When I came back I finally beat the thing. Daddy of Light, a Japanese drama about familial bonding, covers similar. Bond with your auld da in our list of the best new MMOs. Daddy of Light is based around a father and son who form a stronger bond because of Final Fantasy XIV, Square Enix’s MMO take on their long-lasting JRPG franchise. The show is an adaptation of a Japanese blog, where a young man detailed his strained relationship with his father. As a gift one day, he decided to buy his dad a copy of Final Fantasy XIV, along with some game time cards. He then joined him online without his father’s knowledge, helping him in his quests while pretending to be a complete stranger. Yudai Chiba, the man who played the Red Ranger in Tensou Sentai Goseiger, plays the son, while veteran actor Ren Osugi plays the father. 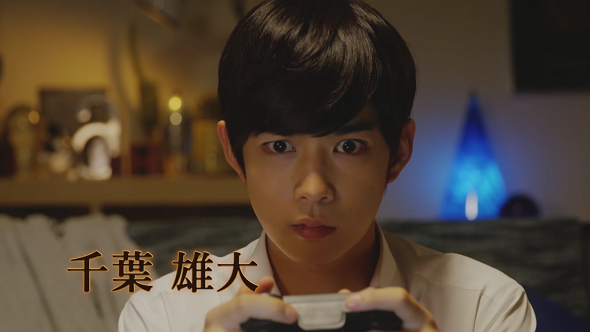 The show blends live action drama with in-game footage, and it looks completely mad, as you can see in the trailer above. If you fancy it, the Netflix release date in Japan is April 20, and it’s releasing worldwide some time in autumn, as revealed by a tweet from the official account.